Did you manage to guess what the second inspired by Loot Crate mani was going to be? 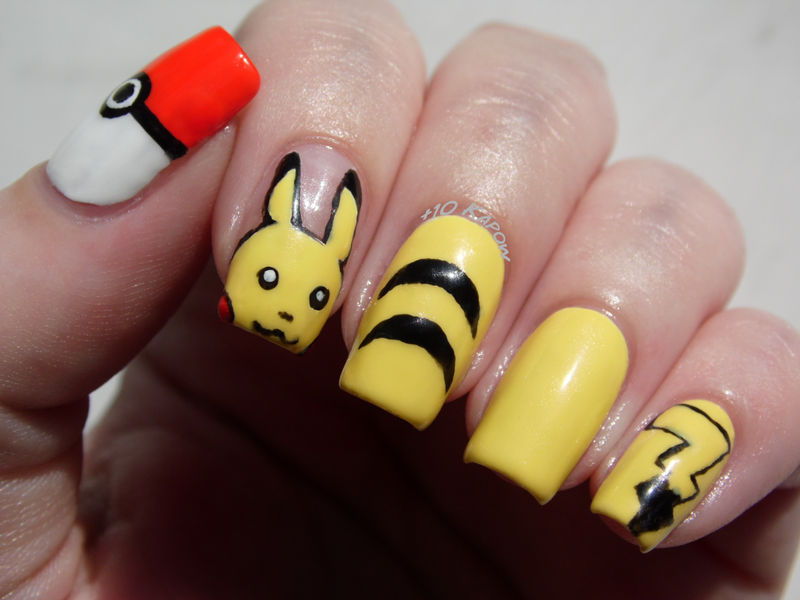 Of course, it had to be Pikachu nails! 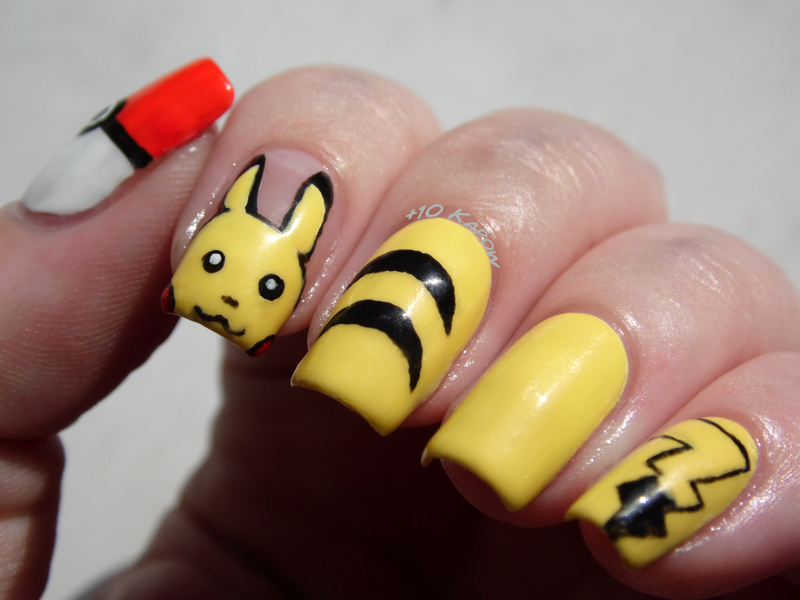 I know, I know, Pikachu nails have been done to death, every variation you could ever think of has been done but I adore my new hat so much I wanted to have matching nails. The lighting went a little weird for these photos today, it's actually sunny but the combination of that and the yellow has made my skin look weirdly translucent, it is October though so maybe I am starting my transformation into something not quite human! I used NYC Lexington Yellow for all Pikachu elements, Barry M Black for the details and Barry M Cotton and Ciate Red Hot Chilli for the Pokeball. Everything was freehanded and I'm surprised at how well it all turned out, it was touch and go for a while tbh, I even managed to get the Pokeball button round... ok roundish, but ish is closer than not. I completely forgot to take a photo of my nails with my hat, so here is my Pikachu hat selfie à la the 90's from my Instagram. Now imagine them both together! If you haven't already seen mani No.1, aka my Hearthstone nails, then you can check them out here and you should check them out because reasons. It's the weekend now, yay! Go nerd out, have some mead, kill some orcs or demons, recharge your batteries and be awesome! Ah who am I kidding, you're always awesome, ALWAYS!